Pepperjam is one of the leading affiliate channels with thousands of publishers available to promote your products. Of course, getting your feed to Pepperjam is all feed based. Pepperjam is actually owned by eBay after being acquired in 2011, and is now called the eBay Enterprise Affiliate Network. Click ‘Products’ in the ‘Creatives’ tab. 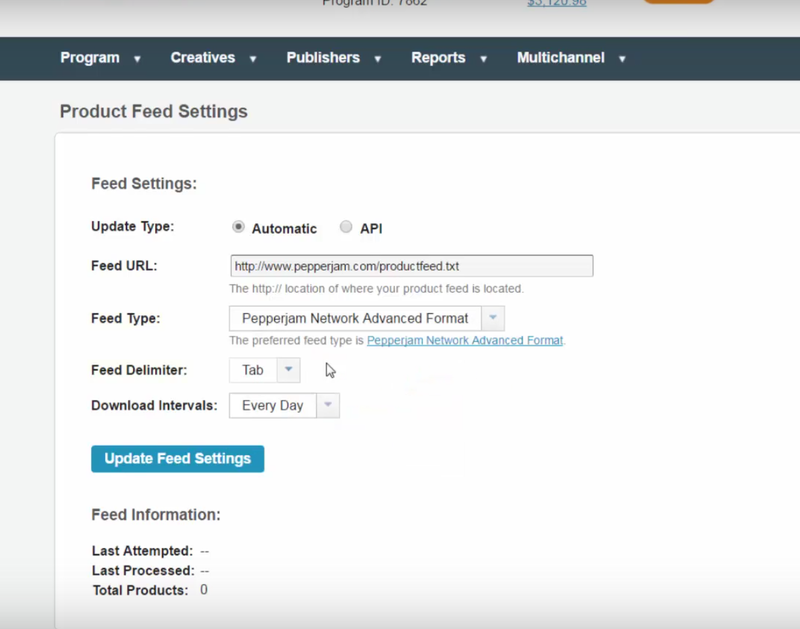 This section contains a list of your joined advertiser programs that have product feeds. On the left side of the page, you may filter by ‘Advertiser’, ‘Advertiser Category’, and ‘Keyword’. After setting a filter, you can select ‘Download Feed’ in the right hand corner. If you prefer to download all product feeds, do not select any filters and simply use the link provided at the top of the page. Should you include product variations like size and color for Pepperjam? As Pepperjam is an affiliate channel, you should not include color and size variations in your feed. Feedonomics has a neat way to eliminate these children products with our deduplicate feature! If you need help with creating a Pepperjam feed, feel free to reach out to us below. Click this link to find out more about setting up a feed for Pepperjam. Need Help With Pepperjam Feed Management?